An orphan by the age of sixteen, Sophia Morganthal now lives with her best friend and struggles in a world with no relatives. Midway through her Senior year, Sophia finds herself flying across the country to live with a family she never knew existed. She ends up with more questions than answers when she discovers that not only does she come from a long line of witches but that she must be initiated within the year to prevent a battle for coven leadership. Feeling more alone than ever, Sophia finds her solace in books. The journals of past initiates provide her with more than she ever wanted to know and make her question the path she’s on. Amidst all of the upheaval in her life, Sophia also finds one source of happiness – Connor. The last thing she needs is more complications, but Connor is the only person who makes her feel wanted for herself and not for what she stands for. As Sophia learns more about herself, and what being initiated into Blackthorne coven really means, she must answer the ultimate question – would she give up everything for her family? Tell us about Family Secrets? 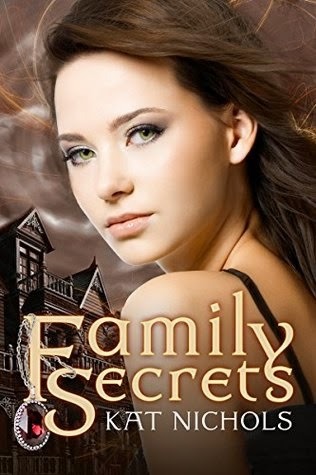 Family Secrets is a young adult, coming of age story with a magical twist. Sophia moves to Illinois and her whole life is turned upside down. She meets family she never knew she had and finds out she comes from a long line of witches. She deals with family issues, meeting new friends and a cute boy at school, all while studying to pass her initiation. How did you come up with the idea for Family Secrets? Believe it or not, Family Secrets came to me in one sitting. We’d just formed the Rebel Writers and NaNoWriMo was about to start, so I decided to sit down to plot out a book. I locked myself in my bedroom and just put pen to paper. It took a couple hours, but when I was done I had a very basic idea of what would happen in Family Secrets. You’ve mentioned the Rebel Writers. Who are they and how have they influenced you? The Rebel Writers is my writing group. We met as fans of indie author Rachel Higginson, who I love, and we all decided we’d write our first books together. They are amazing women and talented authors. If not for them, I never would have finished my first book, let alone have other books in the pipeline. We got so lucky. They are my best friends and my sisters. Cheesy, I know! You have to get out there and mingle with the blogging/writing/reading world. Join discussion groups, follow Facebook pages, and put yourself out there. It can be time consuming, time you may want to spend writing, but you can meet some amazing people. And then, keep going. Don’t stop writing or reading. If possible, find yourself a good writing group to help keep you sane. They will understand what you’re going through and can support you in ways even your best friends and family cannot. Why do you like writing YA books? I know I’m generalizing here, but for teens, everything is new or fresh, like the tingles of first love and the devastation of first heartbreak. All of the emotions are felt so keenly and powerfully. It seems like they experience things on a grander scale and I enjoy delving into those emotions when writing. Where do you usually find yourself writing? Anywhere I can. I’m a mom with a full time job and a son who plays three sports. I try to get writing in while I’m at work, on my lunches and my breaks. Plus, I’ve been known to pull out my laptop at basketball practice or dentist appointments, anywhere I can get some words in. Is there a character that has taken a completely different turn than you originally planned for it? Characters that you discarded and wrote out or became more important than you planned? I’ve often heard authors say that the characters speak to them or take over a story but I’d never really seen it in action until Ellen. She’s the cook at Sophia’s new home and like the maids, was meant to be more of a background character. As I wrote her, she demanded a much larger role and ended up being a pretty important person to Sophia. I do! I’m halfway finished with book two in the Secret Societies collection. Deadly Secrets is a continuation of Sophia’s story and I plan on releasing in July or early August of this year. I also have the first chapter of a novella about Sophia’s parents up on the site, Literrater. I’d like to have it published by the end of the year. The Secret Societies collection will continue after that but will tell the story of a different paranormal group and since they all live in the same area, the stories will intertwine. For example, people in Deadly Secrets will show up in later books. My goal is that each set can stand alone as a series, but you can read them all in order to fully understand what is going on with these groups and the relationships between them. The first set, Secrets, focuses on Sophia and the witches, and will consist of two full length novels and one novella. I can always be found on Facebook at: www.facebook.com.katnicholsauthor.com. My website is www.katnichols.com. My twitter handle is @Author_KatN. For new release info, teasers and exclusive giveaways, sign up for my newsletter here. Kat Nichols was born and raised in the suburbs of Chicago. The youngest of four children, she'd been known to play for hours with only a cardboard box for entertainment. Her imaginary friends had friends... and family... and even little cities to play in. As she grew older, she began to put some of these stories down on paper, rather than keeping them in her head. Writing a novel had always been a dream for her, perhaps an item on her bucket list, but it wasn't until she joined a writing group with other aspiring writers that she finally got to work.When not writing, Kat is reading or driving her son to and from practices and wishing she was reading.It depends on the day. Kat still lives in the suburbs of Chicago with her wonderful husband, their hilarious son and their sometimes adorable and sometimes annoying cat. 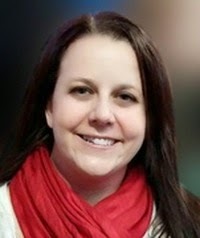 To learn more about the author, please go to www.katnichols.com. Giveaway for one (1) ebook copy of Family Secrets. Open internationally. I actually didn't enter this one because I have a review copy of this book already! But it does sound like one that is going to be a lot of fun and I can't wait to try it. Love your review and like the magic elements. I still can't get over how much this seems like Cate Tiernan's Balefire. I enjoyed it, so I'm pretty sure I'll enjoy this, too. It's just very strange reading a blub, wondering why it sounds so familiar. Did I read it already? No, publication date suggests I haven't. What's going on? I had to do some googling to remind myself of Balefire. I love the interview! Her explanation of why she writes YA pretty well defines why I *read* YA at 25. The strong feeling/expression of emotions she suggests combined with my own thoughts about the dialogue used for teens (I think it sounds way more realistic than what we see in adult books) helps me sink into the story. As I like to tell people, YA does not mean it's too easy of a read for adults. It has no measure of reading skill used in its definition. YA simply explores topics of interest to that age group. If you compare a YA book to an adult one, like Harry Potter to The Notebook, the actual reading levels of the books are probably pretty similar. So long as I keep associating better with YA topics (I'm a goofball, and the internal dialogue better suits me) than adult, I'll keep reading every single YA I can get my hands on!